Some time ago I did some work for Accuquilt designing a few things. We ended up parting ways but the patterns I designed and rights to them are all mine. I debated and debated what to do with the designs and then finally I decided to just give them away for free here on the blog. This is the first of about four patterns that we’ll feature. 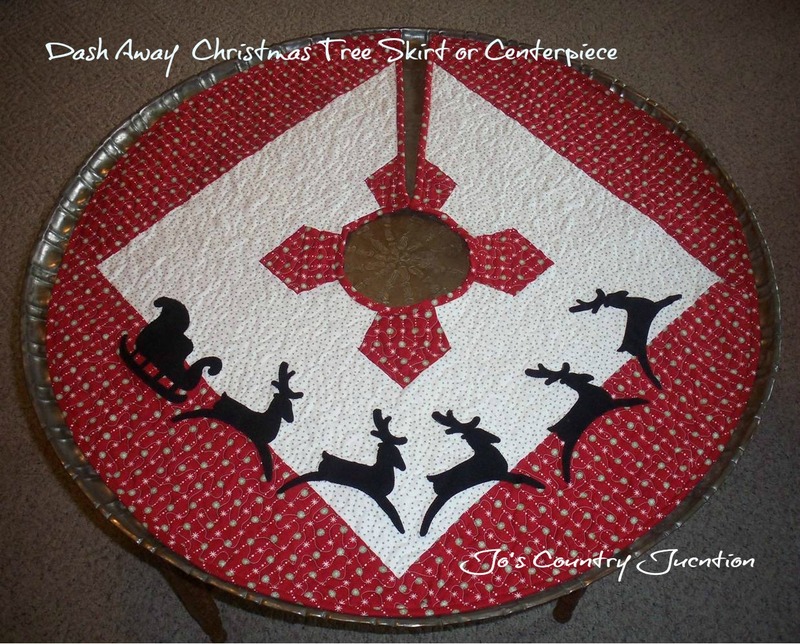 Today we are giving away the pattern for our Dash Away Christmas Tree Skirt. I know many of you don’t have an Accuquilt Go and the instructions were originally written for a Go. I did however go back and make them friendly so that anyone can create this. 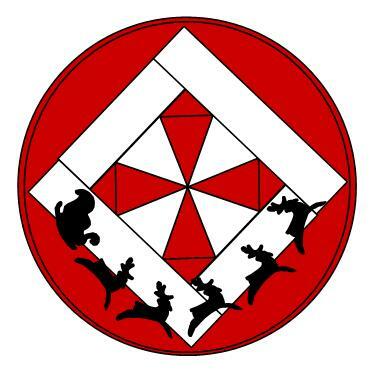 Of course I can’t copy the sleigh and reindeer pattern but I drew some images and added them to the pattern. The images aren’t the same but will work so now anyone can make the tree skirt whether you have a Go or not. The tree skirt finishes at 33″ across. If you don’t want a tree skirt and would rather have a topper for a round table..no problem. Simply don’t cut out the center portion and it will look something more like this instead. Click on the link for the free printable pattern for the DashAwayAll-TreeSkirt…ENJOY!! Keep stopping back as we will be featuring another free pattern next Friday. Please note that you will need an Adobe Reader to access this file. If you don’t have it, you can download it for free here.